SanDisk has recently introduced two new SSDs (Solid State Drives) at CES, the SanDisk SSD Plus and SanDisk Ultra II mSATA SSD. 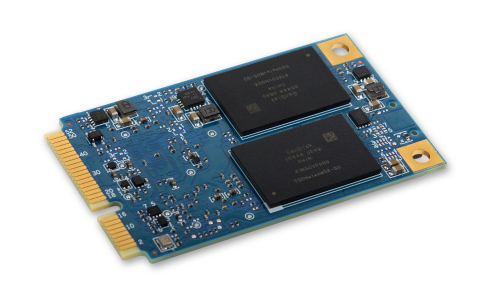 Both the SSD are introduced for making different impact on the market, where the SanDisk SSD Plus is used to target Laptops and PC users to improve system performance and on the other hand, the SanDisk Ultra II mSATA SSD is basically for increasing the capacity and overall performance of their mSATA-enabled systems. These SSDs are designed to benefit user with faster speeds, extended battery life and upgraded systems. The SanDisk SSD Plus which comes in a 2.5” form factor speeds upto 23x the performance of a typical hard drive and delivers faster boot and load times performance, and thus, improves the overall performance of the system. This means user do not have to replace their slow laptop or Desktop PC anymore. The SanDisk Ultra II mSATA SSD delivers a competitive performance with read speeds up to 550MB/s and adds upto 512GB of storage space so users can get bunch out of the mSATA-enabled notebooks and tablets. Both the SSDs are highly durable and are engineered in such a way that they are shock and vibration resistant. Both the SSDs, the SanDisk SSD Plus and SanDisk Ultra II mSATA SSD includes a downloadable SanDisk SSD Dashboard application that offers management tools such as drive performance and health monitoring, manual or scheduled TRIM, notifications for firmware updates, and tips to maintain the drive at its peak operation. The new SSDs comes with 3-year warranty and will be available in Q1 2015. As far as pricing is concerned, the SanDisk SSD Plus will arrive with the storage capacity of 120GB for $69.99 and 240GB for $109.99 while the SanDisk Ultra II mSATA SSD will arrive with 128GB, 256GB and 512GB capacities at a price of $73.99, $115.99 and $220.99 respectively. Stay tuned for more updates.